My plane touched down at the Atlanta Airport early Sunday morning and I was elated. As the newest intern at Marsden & Associates, a B2B inbound marketing agency, I would be spending the next week immersing myself into inbound marketing: learning about our clients, their challenges, and how to build their lead generation programs. I enthusiastically picked up my oversized piece of rolling luggage and walked through the sliding glass doors. Suddenly I was overcome by a wave of stifling heat and humidity, which, as a native Bostonian, came as quite a shock. I chuckled silently and thought to myself – welcome to Atlanta! Coming to Marsden & Associates after interning at a different communications firm in Boston, I was instantly able to see a difference in the way the two companies conduct their business. Though the first company had its strong points, I was extremely impressed by Marsden & Associate’s fresh perspective on the marketing industry and the strategies and technologies they used to lift their clients’ businesses above and beyond. It was this fresh perspective and the fact that they are clearly at the forefront of their field that led me to the conclusion that interning with them was the best decision I could have made. The skills I've learned during my inbound marketing internship have been invaluable. Within the first week of being hired, I received a warm welcome email with my summer internship plan. In week one, I had taken and passed the HubSpot certification exam and learned the ins and outs of a using a B2B marketing automation tool. My learning plan was hands-on and interactive with the help of my internship “buddy”. I performed targeted market research, suggested new ideas for various projects that were well received and later implemented, and learned inbound marketing best practices with the help from the team. At the moment I’m conducting social media research for a client as well as composing a Google Analytics eBook. And this was all within one short week! 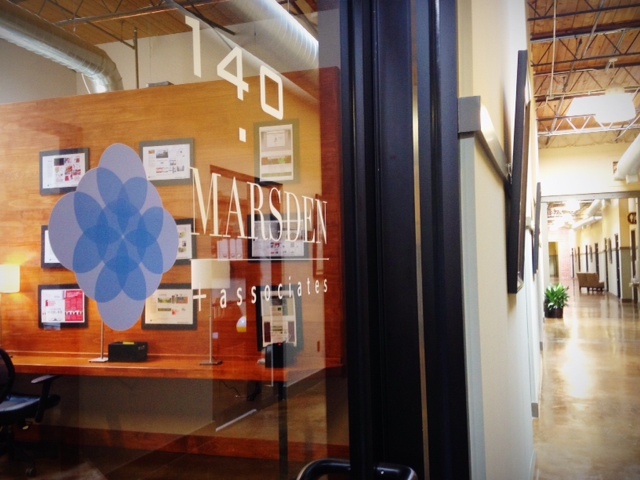 The internship originally began as a remote assignment because of Marsden’s clients in Boston. This gave me the chance to learn project management and automation tools the team uses to manage their work efficiently with their remote clients, contractors, and employees. However, my internship would not have felt complete had I not travelled down to the oh-so-hot (I mean seriously, guys – are you really wearing long sleeves right now?) city of Atlanta to train with the team in person. I am very fortunate to have had the experience of working with the team in person. Although the experience was fast-paced, it was also very rewarding. I was extremely impressed with the members of the Marsden team, each of whom brought knowledge and new insights to the table every day. Although I’m new to inbound marketing and still learning, I could trust that if I ever had a question, there would be someone who would happily answer it for me and give me the guidance I needed. Was it hard work? Absolutely. Would I ever trade it for something else? Not a chance. This experience gave me great insight into how I can apply what I’ve learned in college as a communications major to the business world. It takes working on real client issues to see how I can put what I’ve learned in school to good use. Thanks to this internship, I can do just that. Interested in joining the Marsden & Associates team? View our open positions below.